I’m sitting in a big hotel in Chicago waiting for my ride on the Go Bus, to O’Hare and then I’ll wait to board my flight home to Bangor, ME. Flying is hard for me, a 67 year old large woman, because it aggravates my arthritis and edema. When I get home I will be lame and exhausted, and I will need ibuprofen for a few days. So, why am I here? You may have guessed that I’m not particularly fond of flying or of the fast life. City life doesn’t appeal to me. People move much too fast to accomplish the same things we hicks do and they have to fight crowds of people and traffic to do it! They are fascinating to watch, but I haven’t left this hotel since Thursday evening, which was 4 days ago. 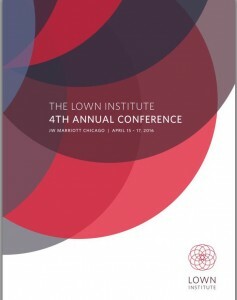 I came for a health care conference, with the Lown Institute, and the Right Care Alliance. For the past 3 days, I have listened to researchers, doctors, lawyers, patients, nurses, a housing expert, a clergyman, writers, reporters, Healthcare organization leaders, medical and nursing students, and more. We heard about the many hurdles in healthcare, and in seeking healthcare, and we heard about solutions. When we met in small and big groups, we talked about our hopes and aspirations for a better health care approach. I hate to use the word system because that is what we have and it ain’t working. Our fearless leaders Dr Vikas Sanai and Shannon Brownlee got us all wound up.with rallying cries and with real crying with real tears. For the love of humanity, we have to do this. We need a revolution. With so much overuse, underuse, misuse and abuse of healthcare, and so much waste, up to a Trillion dollars a year, how can we go on this way? Simple answer, we can’t. The reason for all of my work is Patient Safety and to bring the voice of patients to every meeting and organization that lets me in the door. The RCA WANTS MY VOICE, but better yet, they want everybody’s voice. The more the merrier. The more the better our chances are for a revolution. I can come up with so many examples of overuse, unnecessary testing, too much medicine prescribed, too many office visits, and stupid routine things done, and all just in my family. I also think about the cost to us. I think of my son who is struggles with medical debt for a necessary knee surgery about 10 years ago while he was uninsured. 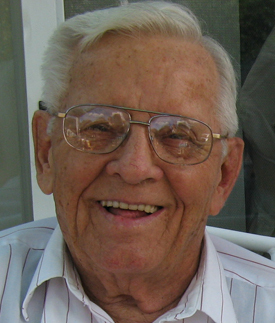 I think of my mother who right up until this year, at age of 90, was getting annual mammograms. She was also getting yearly pap smears, cholesterol tests and ultrasounds on her carotid arteries that she swore she would never get surgery for, and invasive cardiac testing for a faulty valve that she has said she would not get fixed. Medicare will pay for these useless tests every year but not one penny toward her assisted living care for dementia. Then there is the underuse…that I experienced myself last year when I had a large kidney stone that would not pass on it’s own. 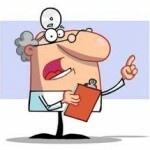 When I needed an X-ray or ultrasound and blood work, I didn’t get it! It caused temporary harm to my kidney, and unnecessary suffering, and yes, more doctor visits, delays and cost for care that I urgently needed. The RCA movement aspires to Just Right Care. We want care that is right for the individual, at their stage of life, and for their individual needs, in the right place, at the right time. We want a democratic healthcare approach. All of us wants and needs that because too many tests and too many medicines and too many procedures can cause harm and cost a fortune. And all of those tests, procedures, and diagnostics are decided FOR patients by our insurance companies, and our government…. by everybody but us! We also want a system that is accessible to everyone, from birth to death, and that does not put us at risk for bankruptcy. A single healthcare encounter has the potential to financially ruin anyone except the very wealthy. So, this is a rallying call. To all of my friends and family who agrees with what the RCA and I are trying to do, please visit our webpage, and read the mission, vision and pledge. http://rightcarealliance.org/ Take a look at the different councils and who is on them. Consider joining a council and please sign the pledge. Then follow and/or support the work. We, the Right Care Alliance, will raise our voices, and cause a ruckus. We will transform healthcare into something that is safe, high quality, accessible and affordable for all. Is Healthcare Harm a Misadventure or a choice? As a nurse, a patient and a consumer, I know I have to make wise choices for my Health and my healthcare. Last year, I had to choose the best doctor and best Hospital for my cancer surgery. It was no small task. I also had to choose a healthy approach to my surgery. I drank more water for several days, ate iron rich foods, exercised more (better late than never), clipped and scrubbed under my nails and did antiseptic showers each of the 3 days up and to the day of surgery. I had a stellar healthcare outcome. Since my surgery, I have made even more choices to be healthier, like going on a weight loss diet and moving more. Although I stumbled a bit with this effort over the Holidays, I will continue in the New Year to lose excess weight. That chore will be accomplished by even more choices…choosing healthier foods, less sugar and fat, and more protein, fruits and vegetables. I believe I am making a lot of the right choices for myself. Are Hospitals making the right choices for patients? It’s all about choices isn’t it? When a Hospital chooses not to invest in patient safety and infection control programs and practices that are known to work, patients suffer. When they choose to chronically under staff, and patients are not getting the direct care they need when they need it, patients suffer. When they fail to coordinate admissions and keep infected or colonized patients separate from unaffected patients, patients suffer. When a direct caregiver chooses not wash their hands before patient contact, or chooses not to use the 5 rights of medication administration, or chooses not to use a check list or a time out prior to surgery or other medical procedures, patients suffer. This is a short list of choices that are made by Hospitals and caregivers every day. So, when I heard recently that medical harm is called a “misadventure” by the Centers for Medicare and Medicaid, I was dumbfounded. Healthcare is not an adventure or a fairy tale. Illness and injuries are a brutal reality for human beings. None of us choose to be sick. My colleagues in Patient Safety have treaded lightly when talking about medical harm, errors and infections. None of us believe that these things are deliberate or intentional. We do however believe that most healthcare harm is preventable. Errors and infections that occur over and over are no longer errors. They continue to occur because poor or inadequate preventative choices have been made. Patients suffer every day because of healthcare harm, and I believe that much of that harm is because of poor choices. Choices are made every day in Hospitals and other healthcare settings that can cause preventable harm to patients and unnecessary suffering. Let’s all work together to make better Patient Safety choices in 2013. Categories: Uncategorized	Tags: HAI, healthcare choices, Healthcare harm, Healthcare infections, Infection prevention. 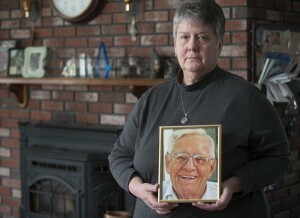 Medicare Misadventures, PATIENT SAFETY.